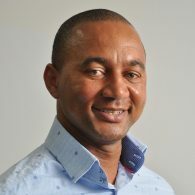 Marlon has over 15 years’ experience as a business owner in the Financial Services Industry in both the residential & commercial sectors running large teams and a remarkable in-depth lender criteria knowledge to support our investors, developers and clients alike with their funding requirements. 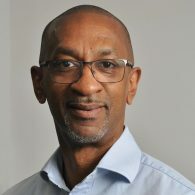 Marlon’s experience in the industry underlines his solid knowledge of the BTL, HMO and the commercial finance markets ensuring special relationships with lenders, access to exclusive products and direct contact with lender underwriters when necessary. Marlon’s mission for JMS Financial is to make securing lender funding a simple process for our clients. Quite simply… we offer clear advice, provide solutions that support our client’s financial short-term requirements and long-term strategies. 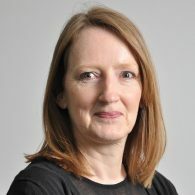 Michelle has over twenty years working in varied roles such as secretarial, administration, event organising, accounting, communication, customer engagement and marketing. Extensively travelled and well-networked which has demonstrated her ability to build good relationships with clients and business associates, as well as securing customer loyalty. Michelle’s role is to manage the administration for the company, helping to assist with the fast, reliable and efficient service that JMS Financial provides to its clients. Emma has recently joined JMS Buy to Let Business. She comes from a varied background, which has included working within the Property and the Legal Sector. Emma has worked in a variety of roles including Office Secretary, Paralegal Assistant and Administration. The wealth of experience gained in these roles has given her all the knowledge essential to her role. This includes the administering and supervising of all JMS Financials’ lending applications, client files and enquiries. 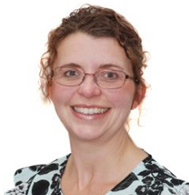 Emma is therefore invaluable to the team, providing a smooth transition process from start to completion. Carl has over 20 years’ experience in the Financial Services Industry, historically focusing in both the residential and commercial intermediary markets. As an Associate, Carl assists the advisory team for funding solutions in the residential and BTL sector, especially around portfolio lending. Joining the JMS Buy to Let Business team, has given Carl the platform to encompass all areas of his commercial finance intermediary advice experience, such as Bridging and Development Finance which he believes is key to ensuring our clients are offered a full suite of residential and commercial finance. 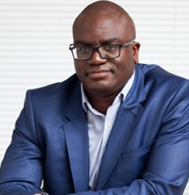 Ikenna is a seasoned financial professional with extensive academic and practical knowledge, experience of Finance and the Financial Services Industry. Ikenna holds a Bachelors Degree in Banking and Finance, Masters Degree in Finance, and Business Management, full CeMAP qualification in Mortgage Advice and Practice and a Member of the Institute of Financial Services. He has been an entrepreneur, throughout his life, running his own private businesses, and forming alliances with businesses that share same values and propositions as his, to offer his clients even wider, and better services. 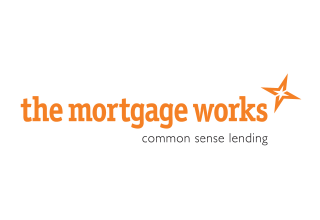 He is a specialist Mortgage Broker who is passionate about helping businesses grow. Being a business man himself, he understands financial analysis, given his deep academic knowledge of Finance, so knows how to analyse any financial proposition to ascertain its profitability, or lack of it, and this helps stand him out from other brokers out there. He is a proud father, and a loving husband, and to him: Family is everything, and everything is family.